There was an interesting article in the Citylife and County living magazine last week: “The truth about lying“. Because PR is linked to the word ‘spin’ and can be seen as ‘lying’, I thought it might be interesting to read the article. A sentence in the article that really got my attention was: “A world without deception might be a very difficult place to live – mean, do you want to hear that yes, your behind does look big in that?” I’m not really sure what my answer to this question would be and I thought really hard about it. It depends on what your behind looks big in doesn’t it? If my behind looked big in something that I really love I wouldn’t want to hear it, but if my behind looked big in something that was reasonable then someone could actually say that to me. But we are not talking about behinds looking big in things are we. We are talking about lying in the PR business. An interesting quote from the article that I thought went very well with explaining PR and what it’s all about is: ”Know what they know. Be aware of their interests and activities so you can cover your tracks.” It’s all about relevance to the target group and what they want to believe and then you feed that to them. Is this lying? Not really, you are telling people what they want to hear or maybe trying to persuade people what you want them to think. Then we always end up at the question: “Is lying, I prefer the word spinning, to your target audience ethical?” The answer that I think answers all the questions about if some actions are ethical is, NO. It is not ethical to lie or spin the truth, but as long as nobody knows there is no harm is there? For example: Constructing a list of favourite music for David Cameron to help him manipulate his public image. Is this ok to pretend you like something because it makes you look cool or cultured? The subject surrounding David Cameron might be a touchy subject but again the answer is: NO. It is not ethical, but do we really mind if we don’t know that David Cameron didn’t actually picked the songs? No. But we would mind if all the national and local newspapers wrote that David Cameron actually didn’t pick the songs, someone else did. Well then all hell would have probably broken loose. Wouldn’t it? 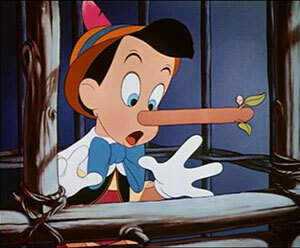 In my opinion ‘lying’ is a very strong word, especially when using it in combination with PR. It can be seen as ‘being economical with the truth’. We all do it sometimes to make ourselves look better, sound better, impress people, to get things our own way. I don’t think that we have to be too cynical about this, we all know that the truth is manipulated but if we thought too much about that we would never believe anything! The manipulation has to be subtle, not too in your face, or it wouldn’t be credible. Tell me what you think about PR spin. PR and the ethical aspect of it and if you think this is acceptable in this field of work. « How would you explain PR to your parents?